Honor Play Special Edition to go on sale on August 1st - Playfuldroid! 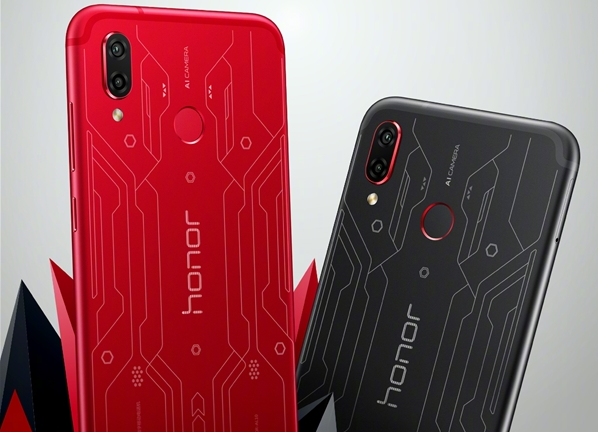 A new Honor Play Special Edition smartphone had been announced by Huawei’s sub-brand Honor earlier today, and will go on sale in China starting August 1st. The Special Edition units will be available in two different color options namely Red and Black. However, unlike the normal Honor Play variants, they will be featuring a laser-etched lines on its rear chassis which shows off a rather spectacular design. Of course, being a Special Edition unit do comes with a price too. According to Honor, the 6GB variant of the Honor Play Special Edition will be tagged with a price of 2,499 Yuan (US$ 366) which is 100 Yuan more than the standard version with the same 6GB+64GB memory configurations. Aside from its cosmetic differences, the Special Edition unit will still be coming with the same specs as the rest of the standard models.